Have a baby, lose a tooth. Unfortunately so far that adage has been true for me! After the removal of my second back molar, I knew that had better get on top of the real cause of tooth decay so that I could prevent further loss in myself, and take preventative measures for my children. I’ll share what I’ve decided to do in our family. In addition, you can see the other posts I’ve done on holistic dentistry on my blog. The first item I looked into was fluoride, because it seemed the most controversial. There were toothpastes that were specifically fluoride free, and toothpastes that touted the benefits of fluoride. I did not feel the benefits, if any, of fluoride outweighed the very real risks associated with its use, and we discontinued using fluoridated toothpaste. We use Tooth Spritz (liquid soap) to brush with, and even the kids don’t mind, it’s not as bad as you’d think! The book Nutrition and Psychical Degeneration really revolutionized how I thought about cavities. Dr. Weston A. Price, a dentist, searched the world in order to find the cause of tooth decay. What he ended up finding was that when our bodies are not properly nourished, our teeth are the first part of our body to noticeably be affected. What foods did he find necessary to keep our teeth well nourished? Meat and/or milk from grass fed animals. Seafood harvested from healthy waters. What foods should we avoid eating to keep our teeth healthy? Any refined food that has all its nutrients stripped from it such as white sugar, white flour, and other processed foods. Weston Price encourages the avoidance of refined foods not because they ‘sit on your teeth and cause them to rot’ as I had been told as a child, but because they displace nutrient-dense foods that the body needs in the diet. Without a diet full of wholesome foods as God created them, there just are not enough nutrients to go around and your teeth suffer. You can read more about Dr. Weston A. Price’s work at westonaprice.org. I actually have some cavities that our holistic dentist told me about. After much research, I have decided to avoid having them drilled and filled as long as they aren’t causing any pain. In the book Cure Tooth Decay, Ramiel Nagel recommends a nutrient dense nutrition protocol to halt and prevent tooth decay. I haven’t followed his protocol exactly, I did keep in mind that it should be a priority to make sure my fats and proteins are from very healthy (grassfed) sources, I made it a priority to include more fish in my diet, and I take raw fermented cod liver oil daily. I also watch the sugar in my diet to make sure I’m not filling up on nutrient-void calories. Brushing with soap made for teeth that I talked about above, also helps really clean off the teeth, and doesn’t leave a glycerin coating as most commercial toothpastes do. This allows the saliva to interact as God intended with the teeth- modern toothpastes leave a coating of glycerin and prevent the saliva from penetrating the teeth as needed to bring them nutrients as well. Between improving my diet, with a focus on healthy fats even if they are more expensive, and using tooth soap I have had a good experience with not using typical dental procedures.My teeth used to be really sensitive to cold, and after doing these natural treatments for over a year now I have very rare cold sensitivity. My front teeth also were somewhat transparent at the ends, and that is filling in with opaque color. I suspect the transparency was from over-the-counter tooth whitening gels that I used while in college. The cavities that I know of and can see have not gotten any bigger, and I don’t have any pain at all! As I’m learning the more I learn about holistic medicine, it isn’t possible to separate different parts of the body. It’s all connected, and in this case, tooth decay is the sign of bigger problems to come so it’s best addressed quickly and nutritionally. As with everything, please research for yourself before trying anything I’ve recommended! This is just what we do in our family. What does your dental care routine look like? Do you agree about the impact of nutrition on your teeth? I get to live with a dental expert. My husband is a dentist and is very particular about our dental care. I definitely agree that what we put in our mouth (eat) affects our oral hygiene and impact our dental health. However, I disagree on the fluoride issue. Many studies have also been done about the positive, beneficial effects of fluoride, mainly the prevention of cavities. Because our town does not have fluoridated water, I actually use a toothpaste with EXTRA fluoride, only available at the dentist’s office. I can’t help but to trust my favorite dentist’s advice and expertise on this issue. That’s why he went to school and studies this stuff daily. I totally agree. Fluoride is not this crazy toxin that people would like to think it is. I think some people need a reminder that even cyanide and formaldehyde are “all natural”. The poison is in the dose just like having too much vitamin C can kill you too much fluoride is also a bad thing. I use it and recommend it to patients. Too much Vitamin C can kill you? So can too much water. This doesn’t mean Fluoride is not dangerous. It’s more dangerous then lead, and no amount of lead is safe. I’ve heard that there are vitamin’s specifically for teeth. Anyone know anything about this? And know what they are called/ what vitamins are good for teeth? oy! I think I’m probably too far gone to implement any changes that would actually matter now but something in modern dentistry doesn’t work. I literally have large multiple fillings in all but 8 of my teeth (in part thanks to a butcher of a dentist- that’s another story) but perhaps I can keep my son from coming to the same fate. He’s only 17 months and just working on his baby teeth arriving now. I may have to seek out a holistic dentist. I didn’t even know they existed, thanks for bringing that to light. I found ours through our naturopath’s office, and I’ve heard of a few others around. That would be a great way to go. I have been using tooth soap, eating grass feed meat and raw milk in hopes to restore my teeth. I too have cavities but not getting work done on them by a dentist. I went to a dentist a few months ago and she was amazed at how healthy my teeth are. She told me that unless I get the cavities fixed I will always fight cavities because the bacteria will always be present. She also said that unless I fix them I will always be spreading those bacteria to or children. Just wondering if you have heard that before and if that is really the case with bacteria living in cavities? Also she showed me a fluoride rock that they say is where they get the fluoride for their toothpaste. Its not a chemical man made version. Didn’t know if that was any better. @Cari, It sounds like you’re doing the right thing! I personally don’t find much evidence in the ‘bacteria theory’ that your dentist was talking about- we all have bacteria in our mouths, but mostly only people who aren’t taking in enough nutrients are the ones who get tooth decay. I would recommend reading Cure Tooth Decay, he goes into why this theory isn’t evidence based. It is what most mainstream dentists believe, because that is what they teach in dental school at this time. As for fluoride naturally occurring, so does lead and mercury 🙂 Yes, fluoride does naturally occur but it’s also a byproduct of big industries. Just wanted to say that my 5 yr. old son had a cavity which was progressively getting worse and I was dreading taking him to the dentist after what I’ve learned and just a whole change of heart about what I let “medical professionals” do to me or my children, IYKWIM. I was able to stop that cavity’s progression by having him swish about a 1/2 tsp. of colloidal silver in his mouth (I would pour it directly over the tooth), morning and night and I was so amazed, but it worked. Oh, I should also mention that his tooth was causing him pain, so we used cloves on those first few days, but after starting the colloidal silver, there was never any more pain. I don’t buy the floride propaganda, either, and as far as what your dentist told you about the bacteria, it made me question why she didn’t also mention that those bacteria remain in the tooth that she wants to “fix,” and sealed under a filling where they continue to do their damage. I’ve heard of so many cases, including my own, that the dentist wanted to redo one’s fillings because of further decay happening under those fillings that were supposed to prevent that decay. I looked at the tooth spritz website. At $24.95 for 4oz, the price seems pretty steep. How long does that 4 oz last for you? That would be helpful to know. Thanks! @Christy, I bought the 2oz in the spring, and it’s only half gone! We only use a drop per brushing so it lasts quite a while. Also, the discount code HealthHomeHappy gives you a 12% one-time discount on her tooth care products, excluding sample sizes. Is tooth soap the same as tooth powder? @Julie, tooth powder is usually a mix of herbs, I haven’t tried that yet but I want to! I have been making a homemade toothpowder of baking soda with a little bit of salt, herbs, and stevia. Do you know anything about the benefits of something like tooth spritz compared to this? I had never heard of glycerine coating the teeth! Glad to know! We have been fluoride free for awhile also. My two oldest children 8 and 6 have never had cavities. We just recently found a dentist that doesn’t use fluoride or amalgam fillings- but haven’t actually had an appt. yet. We use Melaleuca fluoride free toothpaste. We love it and our teeth feel a lot cleaner all day long. We have been avoiding fluoride in our family for quite some time as well. We also eat grass fed beef and drink raw milk, but I didn’t know about the benefits they have towards healthy teeth. Yay! One other thing I do is store my toothbrush in hydrogen peroxide. I use a shot glass filled about halfway with hydrogen peroxide and just stick the toothbrush in there upside down in between brushings. I love knowing that my toothbrush is naturally germ free and that my mouth is benefiting from the bacteria fighting power of hydrogen perioxide! Interesting. I looked into the “Cure tooth Decay” reading when I got my first cavity ever this past year. However many of those things he wants us to eat to help with tooth decay are either a) not available to me at all where I live or b) completey out of our budget even if I really tried hard. or c) I cannot have dairy and raw milk is illegal where I live. So I do the best I can with what I’ve got. I did get my cavity after I stopped with rice and almond milk as substitues because of the oils in them (I figured it wasn’t the best) but since then have started drinking it again and so far no more cavities for me. I did get the one I had filled even though I waited many months to try to do research, it was the best I could do. It had gotten worse in the mean time. I want to research more how else I could easily get calcium (if that even was the problem) but I don’t have the time right now so this works for me. I do think that certain people are more susceptible though like weak enamel or things like that, but I’m not an expert. Perhaps their “genetic suscepitbility” was caused by their mother’s or even generations further back poor nutrition. Just a thought, although not something we can do anything about. @Nola, Oh I also wanted to add that I think its neat you have a holistic dentist. Where I live you have to argue to get the non-mercury fillings! They are way behind the times. @Nola, It sounds like you’re really taking a proactive approach, which is great! Are you able to make meat stock out of bones from pastured animals? Do you have access to grassfed liver? Both are less expensive and very nutritious. I understand that sometimes it’s difficult! Also, I believe that K2, which is so important for healthy teeth and is found in grassfed dairy, doesn’t get altered by pasteurization so any grassfed, but pasteurized butter, ghee, etc is beneficial. @Cara, I do get pastured meat when I can, but for now I try my best to get drug-free and raised humanely meat at the miniumum. I do bone broths too. Thanks for the reply! are the oils in the almond milk bad for teeth? I give almond milk to my two year old- he doesn’t do well with cow milk. @liz g, I’m not an expert on teeth, but I can’t see why they would be harmful for teeth in particular. I was meaning that the oils in those products are often say sunflower oil or canola oil and they aren’t that great due to rancidity etc issues. They aren’t very healthy oils overall. But its hard when allergic/intolerant of dairy to get enough calcium. I went back to buying those “milks” and just try to look for ones with organic oils. I’m not sure if this reply helps but that is what I am doing. Its important to get enough calcium. Thank you for your article! We stopped using all flouride toothpastes when we learned of it’s toxicity. Since we found the non-flouride types to be too expensive, we began making our own and it works great!!! It consists of baking soda, salt, peppermint essential oil and hydrogen peroxide and our teeth have never felt or looked better. Also, we have made a huge change to our diet and I agree totally that it hugely contributes to the health of our teeth (and the rest of our system, as well). Thank you for sharing such great insight!!! @Amy, That sounds great! The only thing I might want to watch was the glycerin, from what I’ve read it can stick to the teeth and interfere with the normal interaction of the saliva and teeth. But that does sound much healthier and cheaper than purchased toothpaste! I am new to real food, good nutrition, and holistic health. I grew up on the cheap American diet, with a mom who was scared of the dentist, and too poor for health insurance. I never really thought about the fact that what I eat-besides sugar- really affects the health of my mouth. What do you think of dental implants in this light? 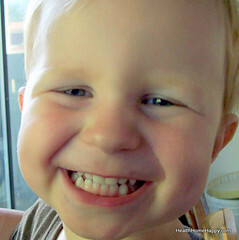 I had to deal with cavities with my first child (she is five now) in her first four front teeth on top (here is the story: http://mamaevausa.blogspot.com/2009/02/farewell-to-d-e-f-g.html ) and only after that, learning about Weston A Price and all, we now drink raw milk, have not used fluoride (although it is in our local water), and taken other measures. We quit using toothpaste about 3 years ago. My husband, who had chronic bad breath for years because of bad teeth, finally could quit using mouthwash 3-4 times a day after we made our own tooth-washing prep. His gums also quit bleeding. I found that my teeth felt squeaky-clean even after eating and I found them less sensitive as well. The kids even use it. We mix 3 tablespoons baking soda, 3 tablespoons salt, 1 1/2-2 tablespoons cinnamon. The cinnamon makes it more palatable than the usual baking soda/ salt combo I have seen since childhood. Cinnamon is also known for its anti-septic and stimulant properties according to some health/wellness sites I have looked at. The only drawback has been that the cinnamon discolors the toothbrush. @Jenny in CG, would the cinnamon discolor your teeth as well? @Savannah, it doesn’t color the teeth at all (I am guessing it has something to do with the synthetic material of the tooth brush). @Jenny in CG, does this work, do you just put a pinch of powder on your toothbrush? @Teena, we keep a little tupperware container in the med cabinet and just dip half of the damped tip of the toothbrush right in. in re: to flouride, i recently consulted w/a dentist who is a member of the holistic dental association (http://www.holisticdental.org/) and has found from his practice for the past 20 years that regardless of whether people believe flouride is safe or not, he has never seen it work to reverse or prevent tooth decay. this is my experience, personally. i got flouride treatments every year as a child, drank flouridated water and brushed w/flouride touthpaste yet have a mouth that has seen so many cavities it is just sad. i am struggling to work on healing my dental situation but am also having the cavities filled. lots of grass-fed butter for k2 is great, as it is known to aid in bone/tooth formation. i buy kerry gold irish butter for less then 6$/lb at trader joe’s. its totally grass-fed and yummy! the main thing i think is a huge detremint to dental health is un-soaked/fermented whole grains. this is what i grew up eating because it is thought to be so healthy to eat whole grains. I have a similar story. I think it’s the refined sugar and flour, and the flouride doesn’t prevent it-or didn’t in my case. I started taking coconut oil daily about a year and a half ago, and my gums are healthier. We also drink our own raw goat milk and are trying to raise grass fed meat too. We are fluoride free as well. My kids’ dentist isn’t fond of the idea. My dentist says my teeth look great. I do have 5 cavities from when I was in my teens. I had sealants and they’ve lasted over 20 years. My kids’ dentist wants to put sealants on their teeth but I’m not doing that. I make both tooth soap and tooth powder and use them interchangeably. Interesting article. I recently was speaking to a dentist friend of mine and he recommended rinsing with warm water and sea salt instead of mouthwash. Just a little something I thought I’d share. have you come across any info on gum disease or bleeding gums? I’ve been able to treat mine with increased Vitamin C (natural sources, like Acerola powder or Camu Camu). Seems like a simple solution, but it works. I thought I was getting enough Vit. C from fruits and veggies but I wasn’t. Increased stress diminishes it further, so it’s a good supplement to take. It is illegal to sell raw milk in Wisconsin where I live, too, but it is not illegal to buy raw milk! “Incidental” sales are allowed, but what incidental is isn’t really explained. My family buys raw cow’s milk during the winter when my goats are on vacation! I think nutrition plays a huge role for healthy teeth! We didn’t have a Weston A. Price kind of diet when I was growing up, but we did avoid processed foods and I was not a tooth-brusher by any means – I slacked off all the time! But I have great teeth now, and I attribute that to all the nutrient dense foods we ate. If you look at Dr. Price’s research, it’s hard to think that the food we eat would not affect our teeth! There is actually a particular strain of bacteria that causes a great deal of tooth decay. Being careful to have your children keep their own glasses to themselves, not sharing things with saliva on them and such can prevent the spread of this bacteria. They are currently developing a vaccine against the bacteria. I know that this blog often doesn’t support vaccines, but I personally think that helping our bodies develop their own immunity against things that harm us through the use of vaccines can be invaluable. I’m anxiously awaiting these vaccines. Have you researched the ingredients that are in most vaccines? Neurotoxins? Heavy Metals? Foreign animal DNA to name a few? Do you really think this “helps” your immunity? 70% of your immune cells are located in your digestive tract, 20% are located on your skin. The best way to boost your immunity is through proper nutrition and avoiding toxins on the skin and in the air. Unfortunately, people think vaccination is immunization. Studies show that just the presence of antibodies does not prove immunity. Think of the many outbreaks of diseases in even 100% vaccinated communities–diseases they were vaccinated against! Why would kids/teens/adults “need” so many boosters if the effectiveness was truly lifelong? Even the new chickenpox vaccine has an “effectiveness” for only 5 years. And yet, you can still get chickenpox, just not as severe?! The CDC and the FDA don’t test the vaccines, except on our children! It’s a huge multi-billion dollar business, so it’s worth looking at who gets the money. Oops. I meant my above comment to respond to Christine. 🙂 True immunity does not come from a needle but from getting the disease. Anything less is a lie from the pharmaceutical companies, since even their science does not support it. I use Tom’s Fennel non-fluoridated toothpaste with my electric toothbrush and have found that my sensitivity has almost gone away. I like the idea of making my own toothpaste and might try the cinnamon version. Any tips for getting little ones to use it? My one year old twin girls like to “brush” their own teeth but I use fluoride free stuff that I’m sure has all kinds of icky stuff in it but it gets them to brush and have fun doing it. Maybe some xylitol and orange essential oil? I’m taking my 6 yr old and 4 yr old to a holistic dentist for the first time tomorrow. I’m so excited! As mentioned above, I also wanted to mention the beneficial effects of using organic essential oils in dental care. Thieves oil (a blend of multiple, therapeutic-grade essential oils) is found by many to be wonderful for treating dental issues. You can go to http://www.oil-testimonials.com, click on search and type in “Teeth”, and read how Thieves has taken care of many dental issues, including gum disease and infections. Thanks for all of the great information in the feed! The holistic dentist was nothing short of awesome! I highly, highly recommend going to see one. There are both pediatric and adult practices. This dentist was full of great, holistic ideas for my child’s dental health. I work for a chiropractor that is also a natural, holistic nutritionist. The discoloring at the tips of the teeth are due to a mineral deficiency. Your body will pull minerals from anywhere in your body it can to maintain it’s mineral level. It could also be due to the whitening stuff, but I would say it’s a mineral deficiency. My two and half year old daughter has that around all her teeth. I feed her a great diet, but I won’t lie, she does heat sugar and goldfish. aside from that, she loves all fruit, all veggies, anything healthy. i brush her teeth about twice daily with fluoride free toothpaste, and she takes Nordic Berry Vitamins. Today we began probiotics. What mineral could she be lacking? Preventing tooth decay is a simple, but complex problem, I’m a mom and dental hygeinst with a great passion for helping other parents stop decay in their months, so they can prevent this problem in their children (since the kids become infected by the bacteria in our saliva which, I feel, is the biggest cause of decay). l am surprised that with all your investigating you didn’t run across information on Xylitol. It is great!! It is a “real” sugar (not man made, not a sugar subtitute) that when we put it in our or our children’s mouths the bacteria that cause cavities eat it, and they can not use it as energy (because it is a 5 carbon sugar and they need a 6 arbon sugar to breakdown for energy) and the bacteria basically “die”. When we have a out of balance level of bad decay causing bacteria our mouth is acid or decay prone. If we eat xylitol the bad bactera levels reduce and the pH in our mouths go up to a neutral level which makes it possible for the natural minerals in our saliva to flow into our teeth and remineralize or harden our enamel which equals less cavities. And on a side note, if the pH of your mouth is acidic or below neutral (5.5pH) no matter how much added fluoride you use (through toothpaste or in the water) it will not soak into the enamel of a tooth. I think reducing the bad decay causing bacteria imbalance that is causing the acidic/low pH is the KEY to preventing decay. Xylitol is safe for infants (just not our dogs, but neither is too much chocolate – and i’m not giving my weekly chocolate treat). Here is a couple websites to checkout http://www.xclear.com or http://www.carifree.com on Xylitol and pH balance. He also uses the Xylitol toothpaste by NOW foods. Great tip! I didn’t know why it worked till now, just that it does. We do not use flouride at all and have none in our water either. I recently went to the health food store, and the only toothpaste I could find that didn’t contain glycerin was called “Coral White.” I’ve been using it for about a week now and love it. It balances the pH in your mouth, and promotes remineralization of the enamel due to the ionic coral minerals it contains (from above the sea so no damage is caused to lival coral). 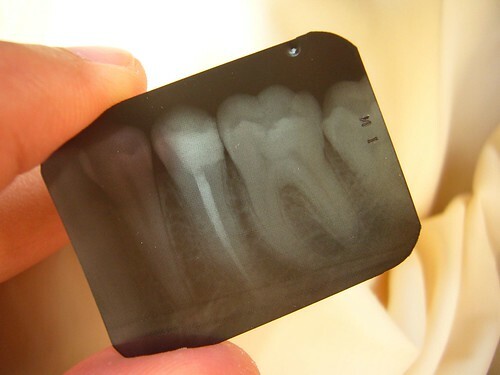 if you choose to ignore your diagnosed cavities, eventually the tooth will either get an abcess or fracture because the inside is all decayed. even if you are doing a good job brushing, there are harmful bacteria in those cavities… you are eating those, and will just do more damage to your teeth long term, as well as to your overall health. indication of our overrall health and that the health of our gums can affect a number of other systems of our body. Thank you for sharing your views on the connection between teeth and nutrition. I am happy to find more people that are searching for real answers to preventing tooth cavities.